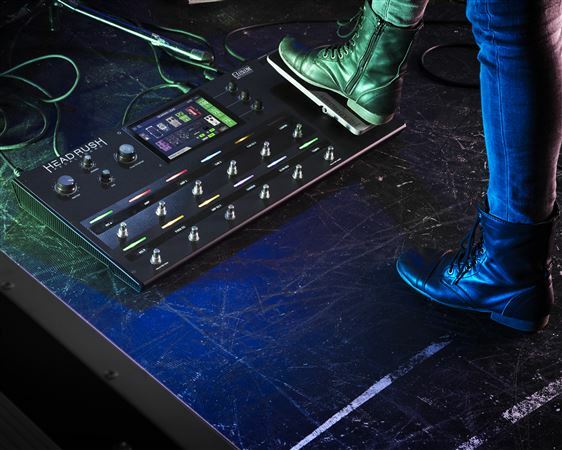 Shop HeadRush Pedalboard Guitar FX Pedal Board from AMS with 0% Interest Payment Plans and Free Shipping. An intuitive board designed with meticulously-crafted models! 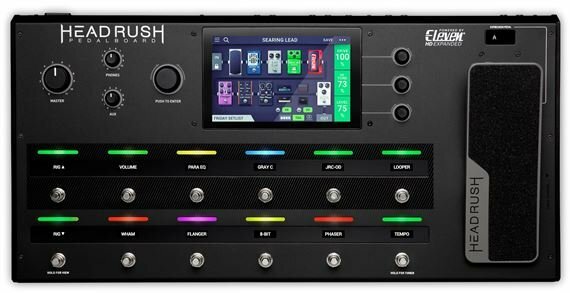 Featuring a finely-tuned quad-core processor and powered by its exclusive Eleven HD Expanded DSP software, the HeadRush Pedalboard delivers the most versatile, realistic-sounding and responsive amplifier, cabinet, microphone and FX models ever found in a floorboard guitar FX processor. 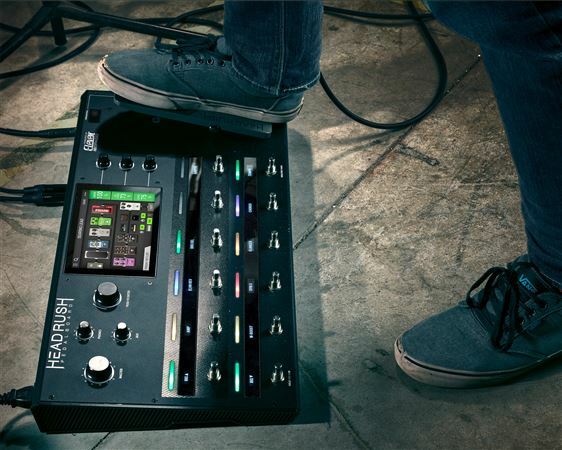 The guitarist-oriented user interface enables you to touch, swipe and drag-and-drop to instantly create and edit your rigs in an unprecedented realistic and intuitive way. 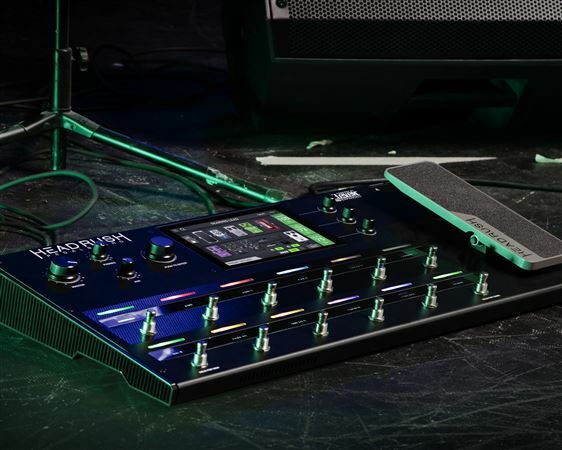 The HeadRush Pedalboard utilizes a purpose designed quad-core system that has been tailor-made from the ground up to deliver the fastest and most powerful guitar FX processing ever. Switch between lead and rhythm sounds smoothly without any disruption or glitches in audio. 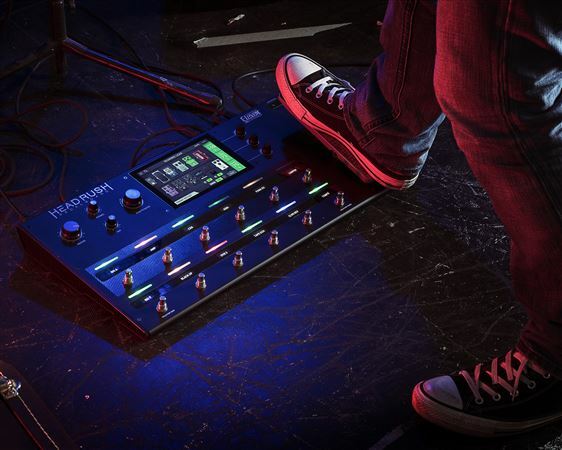 Each footswitch features an assignable color LED along with a scribble-strip style OLED display that dynamically updates to provide useful feedback. Individually peel layers off in the reverse order they were added, change playback speed, playback direction and loop length on the fly. The FX loop can conveniently integrate pedals or outboard gear at any point in your signal chain. Directly record and re-amp to/from your computer via the integrated 24-bit 96kHz audio interface. WARNING: This product can expose you to chemicals including Diisononyl phthalate, which is known to the State of California to cause cancer. - www.P65Warnings.ca.gov. Well, I waited a month before I reviewed. I'm about a dozen gigs into this thing at has far exceeded any expectations I had for it. Used the Helix for a while and it was OK. The Headrush sounds way better FOH and in my IEM's than the Helix ever did. It sounds much more natural. I do believe the amp models in this unit are better than the Helix. Think Kemper or the real thing. The ease of use is what really sells it. So easy to come up with sounds. And I can easily change things on the fly live which is a game changer. But it's the sound of this rig that puts it above all the Line 6 stuff I've heard, including the Fractal. Engineers I work with love it as well. I think my tube amps are in storage for a good long time. I'm set up at a gig in 10 minutes. I may get the Headrush FRFR 108 for those times when in ears aren't available but we usually carry our own system but it would be for emergencies. I can't rave enough about this unit. best gear I ever bought!!! 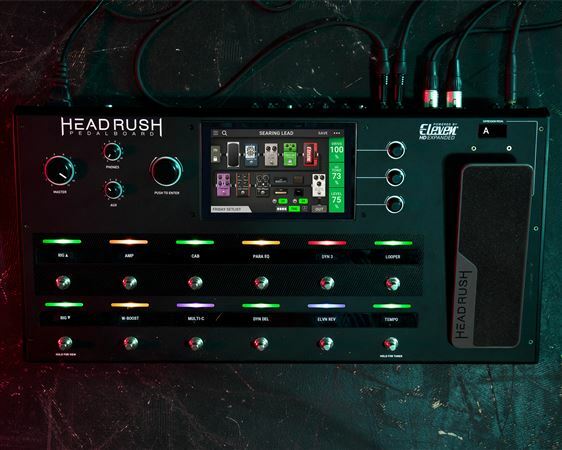 the best purchase I ever made for gear!I had a line 6 pod 500,and I hated it!I bought the headrush headboard to upgrade and wow!it sounds great for every genre of music,its very user friendly,and the price is great!! I would recommend this to others. Very easy to use and sounds great!! Great machine It will Take Some Time To Understand how To Use It. But That The Fun Part Of Having It. 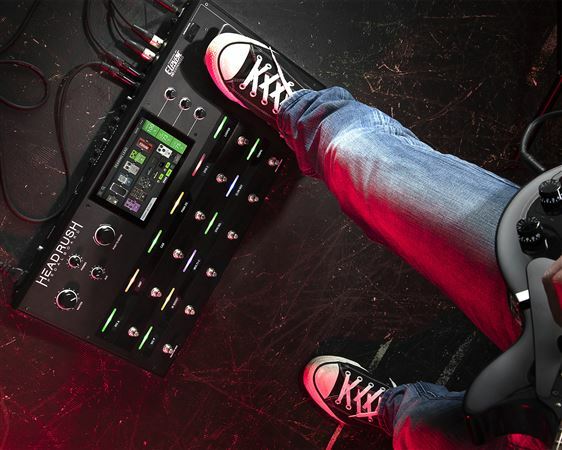 I love it, is the best guitar effects processor that I ever have, the interface is friendly with the user and you can find a lot of lessons about how to used. American Musical Supply is my favorite store. I debated Helix and Fractal but I want to play not spend hours tweaking my sound. Love the touch screen. AMS makes it so easy for me to add to my musical arsenal. I was looking for something that would give me the sound I love without having to drag my Vox AC30 around as much. I was never a big fan of modelers but this thing has really changed my mind. So many option at your disposal and this thing just sounds great. I’m using it through the headrush frfr speakers. Sounds great and I’ve had some compliments on the sound. I’ve gigged with the setup a couple times now and I’ve had no problems with it. Get one, you won’t be disappointed. Easiest user interface multi effects pedal I've ever owned. Amp sims sound great and effects are great as well. Be sure to download the software updates from the Headrush website to ensure you have the latest upgrades. Customer support from Headrush is awesome, they will respond to your questions and needs. I’m a tinker’r. Always trying to tweek my tone, branch into new sounds and try new things. This pedal is SO user friendly compared to EVERY effects pedal I’ve EVER tried and I’ve literally tried them all. I’ve been able to assign pedals, adjust levels and add mods at will WHILE performing! And I play some high end gigs like casinos and festivals. This thing is absolutely amazing and has changed the way I think of multieffcts pedals. Usually you need a PHD and to have read extensively their user manual. Not necessary here. Put away your pedals connected with little 1/4 cables and invest in this. It looks rugged and I’m hoping to have this for a very long time.